When you need to backup your computer files you want a method that is easily done, fast and reliable, whether you are using MacOS, PC, or Windows OS. Your computer may experience, some hardware failure, virus attack, disasters, get lost or stolen. losing all important files, documents, application, videos, music, photos and any multimedia file. Keeping them safe by backing up your computer files. It is always better to be safe than sorry. Your first step to backup your computer files is to select the folders or files you need to backup, then estimate their combined file size. So you will know what backup method is good for you. Very portable USB flash drives plugs into the USB port of your computer to back up your files. If you have a medium size files of up to 120GB, the USB flash drive comes in handy. 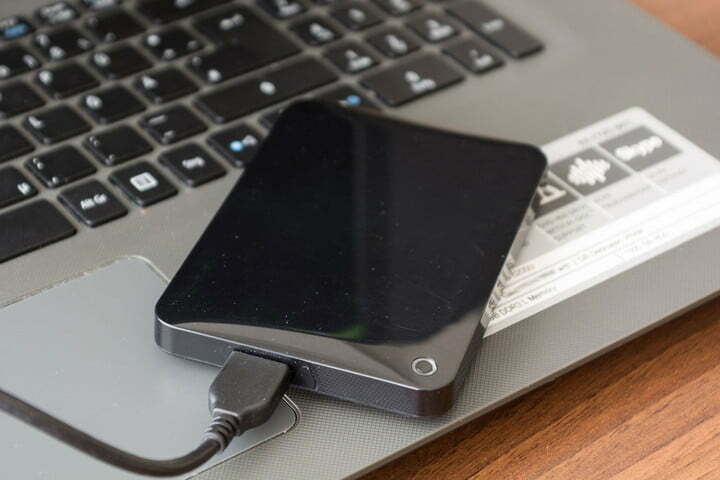 It is a very small and portable, inexpensive external storage and easily to used to backup your computer files to restore the files when ever needed. USB flash drives are multipurpose storage devices, mostly used to move computer data from computer to computer.You can purchase SanDisk here a very famous brand of USB flash drive which are compatible for your Windows PC or Apple computers. Another very safe, easy, fast and affordable way to back up your files from your computer is to copy them into a blank CD or DVD. Almost all modern computers, be it laptops, desktops and Apple's Mac, includes a writable CD/DVD drive, which makes burning your computer files to a disk is an inexpensive and easy way to backup your computer files. Simply insert a blank disk in the CD/DVD drive, Your file explorer will indicate a writable CD folder in My Computer, so you can select and copy the files you need to backup in a new folder (name it as you wish). To complete the file backup, click on the CD drive D: then click 'Write these files to the CD'. While your computer is busy backing up files, you may not want to use it for another task. CDs (Compact disks) have about 700MB (megabytes) storage capacity, and a DVD (Digital versatile disc) can hold up to 8GB (gigabytes) of data, that's about 2,000 music files, so you may need multiple discs depending if you intend for a full computer backup or a specific folder or files. Of course, there are disadvantages on using disk backup. CDs/DVDs have a limited shelf life and can be easily broken or scratched. Storage capacity on a disk is more smaller than an external drive (USBs or Hard disk), and the backup process is slower than others depending on the seep of the discs. Each time you back up your computer, you will require a new disks (while using a writable disk). You may want to keep your computer backups disc out of reach for additional security. If you have smaller size of files, the fastest and easy way to backup the files is to send an email to yourself with the files as attachments and save as draft. Your data will remain safe online in your draft folder with your email provider until you need it again. Some email service, like Gmail (which only supports up to 50MB file limit) has limits on the number and size of attachments, but you can use as many emails as necessary. After a while, your email service might delete old emails drafts for lack of actions or activities, so be informed of their policy and usage. Online data storage sites provides a very fast and reliable way to back up your computer files in the cloud. These cloud storage sites will keep your backup data safe and accessible. Online data storage provides a secure online solution for your computer files back up. In addition, Online data storage could be expensive and a bit slow depending on your network data charges and bandwidth speed. External hard drives as a much larger space than USB flash drive which makes the right device for backing up larger computer files. The external hard drive connects through the USB port. There are well known brands for Apple's MacOS and Windows PC include Transcend and Seagate. They come in different capacity from 130GB to 2TB and more. You can buy an External drive here with 1TB of memory storage for less than $80 (approx. 21,000 NGN). One terabyte is 1,000 gigabytes, more than enough file backup space for most average computer users. Apple's Mac comes preinstalled with a file backup software named Time Machine, while Windows computer comes with Windows Backup system. You simply insert a blank disk into the CD/DVD drive and the software wizard will guide you to do the backup. These backup applications work with most of the common storage devices, like USB Flash Drives, CDs/DVDs and External Hard Disk. I hope these methods on how to easily back up your computer files, helps you in keep your files backed up and secured. If you have any comment or opinion you can drop it in the comment box.